The Boy Scouts of America have been around for a long time…since 1910 to be exact. In those 100 years of implementing programs for young boys and their leaders, I’d say they have extensive experience in understanding the process of developing people, defining what works (or what doesn’t), and evolving a complete system for improving the quality of our programs. Here’s my understanding of what tools are available to fully exercise what BSA has to offer in support of our success. As you read through each degree of scouting below, use this diagram to help illustrate how I see this model come together in my mind. 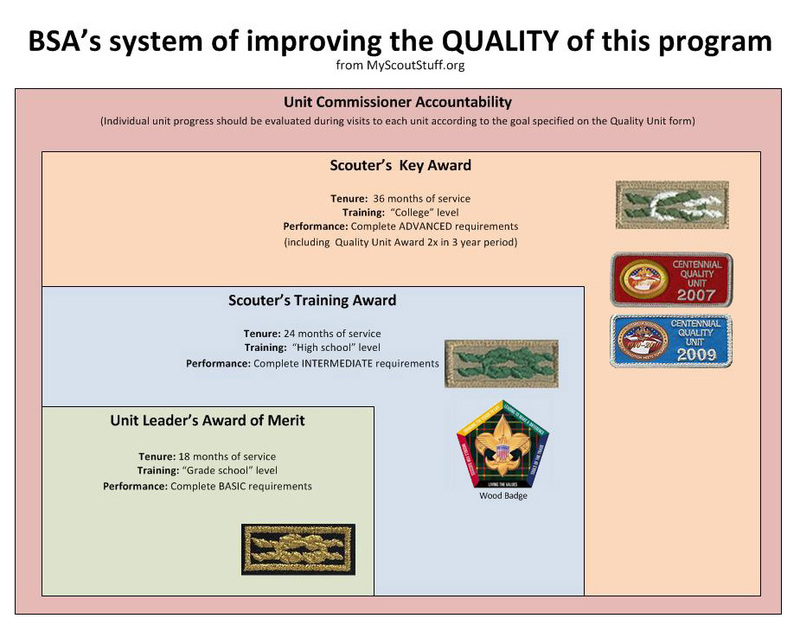 When you become a new adult scout leader, you can begin working on the Unit Leader’s Award of Merit. The requirements are pretty basic… it is everything you should be thinking about anyway to keep your boys interested: a calendar of activities, merit badge ideas to work on and some thoughts around advancement. I think of it as a “grade school” level of understanding. As you become waist-deep in Scouting and the bigger picture continues to unfold, you start seeing a deeper purpose in your outings. You understand your position of influence. You look for ways to be more effective, discover the need to earn money for summer camp and seek for more opportunities to learn from people who have already been around the block several times. Back to my analogy in the diagram, this is the “high school” level of understanding that could be achieved by working on the Boy Scout Leader’s Training Award. Then it finally hits you that this program has incredible impact. By this time, you’ve helped reorganize the youth leadership positions several times, taught the boys what it means to be a leader and allowed them to be leaders with weighted responsibility. You’ve encouraged them to do hard things, picked them up when they’ve stumbled, built them up when they’ve wanted to crumble and tried showing them that their efforts do lead to something very real and important. Through all the ups and downs, you should be well on your way to earning the Scouter’s Key Award; a “college” level of applying what you know and using it to change the future, one boy at a time. What’s beyond this, I don’t quite know. However, I’ll be sure to share it with you here as I find out! 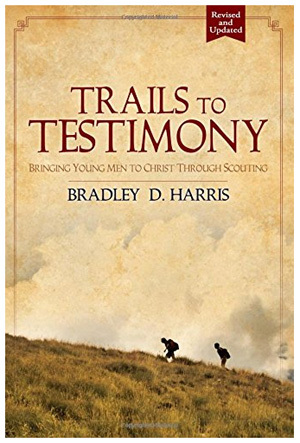 This entry was posted in Awards, Leading by Example, Training and tagged adult square knot awards, adult training awards, boy scout leader, boy scouts, bsa academy, quality unit, scouter university, scouter's training award, scouting elementary, scoutmaster's key award, unit leader's award of merit. Bookmark the permalink.